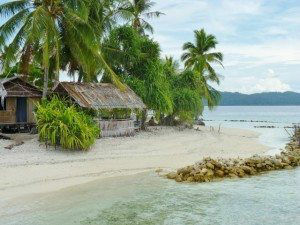 Many of the charter locations, especially in Raja Ampat, are close to or on the equator. 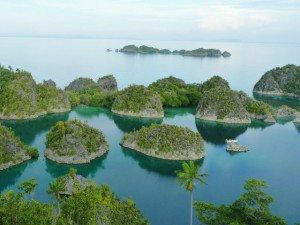 Chartering a private luxury yacht is the best way to experience the exotic beauty of Indonesia. Many of the islands are remote and uninhabited, and have an amazing variety of volcanic scenery, marine life, vibrant cultures, and sailing/diving adventures to be experienced. This makes a luxury yacht in Indonesia one of the most exclusive getaway charter destinations. 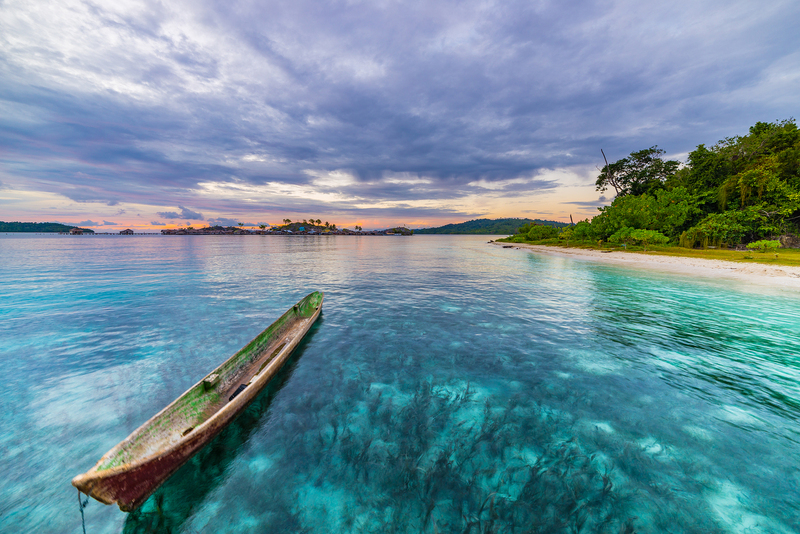 Go on adrenaline-fueled jet skiing adventures, explore reefs, or relax and sunbathe on sandy white beaches—It’s all within reach when you charter a yacht in Indonesia! 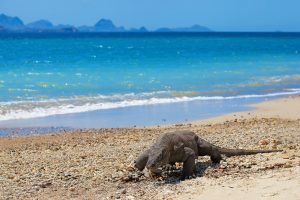 The only known home of the Komodo dragon in the world, Komodo National Park is the perfect destination for those who love nature. Named as one of the “New Seven Wonders of Nature,” Komodo National Park offers unmatched scuba diving. Its spectacular marine diversity includes dolphins, whale sharks, manta rays, pygmy seahorses, and kaleidoscopic coral gardens, among others. The national park also includes several other smaller, remote islands for private snorkeling, sunning, and picnics. 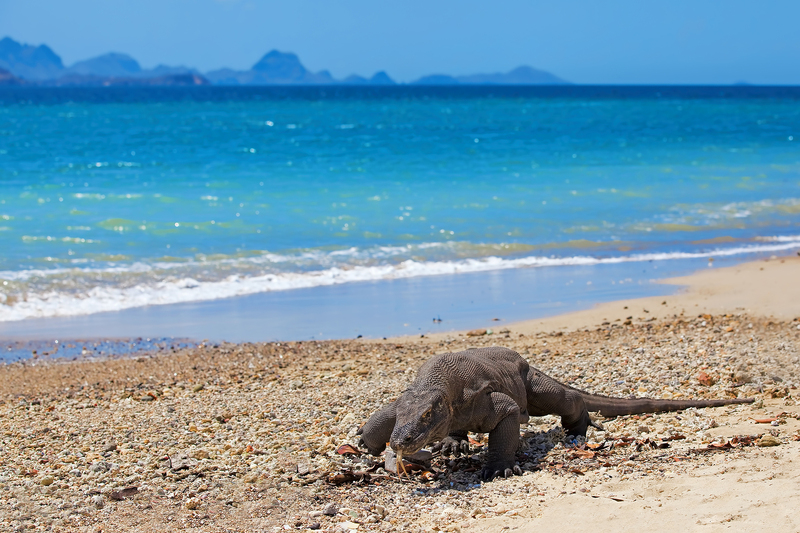 You can see the Komodo dragons in their natural habitat when visiting Rinca Island. Volcano Alley is the perfect place if you want to anchor under live puffing volcanoes, and enjoy remote scuba diving experiences. Known for its drop-off dives and muck dives, the area boasts colorful reefs and calm waters that attract dolphins and whales. Hammerheads, host pipefish, ribbon eels, frogfish and lionfish are also all common sights here. Scuba dive in your own private sea, then enjoy a snack of fresh, exotic Indonesian fruits such as rambutan, mangosteen, jackfruit, and durian. Later, hike up the hillsides to Ikat textile weaving villages to see demonstrations on handweaving Ikat textile fabric, natural dying of the cotton strands, and ceremonial dancing exhibitions. Home to the nutmeg tree, these islands are extremely off the grid and perfect for snorkeling. 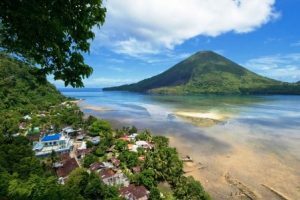 Great drop-offs include Pulau Hatta, Pulau Pisang, Batu Kapal, Pulau Ai and the northern shore of Pulau Gunung Api, just off the cold lava stream. Discovered in the 1600s, the Banda Islands became the hub of the Dutch East India Company for the nutmeg trade, along with trading for Chinese blue and white china coming into the Banda Islands from China. Today, on the bottom of local waters, 400-year-old shards of blue and white pottery may be found. Visit a harbor street stall for delicious local cuisine like spicy tuna on a stick with sambal, chicken satay with peanut sauce, or Buah Pala, a dried nutmeg snack. A fabulous location for snorkeling and scuba diving, these beautiful virgin islands are a true diver’s paradise that offer amazing views. Raja Ampat means “Four Kings,” and is home to Cenderawasih Bay, Indonesia’s largest marine national park. Spend time on these untouched, jungle-encrusted islands swimming with manta rays and sea turtles, as well as exploring local caves. In the evening, grab a cocktail and marvel west at a dramatic sunset filled with reds, violets, and oranges, all enhanced by the turquoise blue sea. Cenderawasih Bay are called the Galapagos of Indonesia’s reefs, and this region offers fabulous diving diversity. 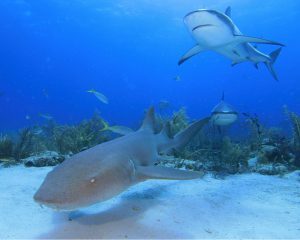 In this region, you can swim with the nurse sharks—It’s ideal to visit the southern part of this bay at the height of the full moon to swim with them. The bay boasts four different species of turtles as well as dolphins and reef fish. Cenderawasih Bay is incredibly remote, and there are very few other dive sites in the world where divers can enjoy being up close with the sharks for a long period of time. 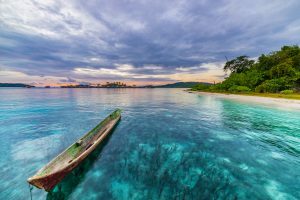 Southern Sulawesi contain about 50 islands that boast a diverse marine life, abundant corals, forgotten waterfalls, and historical sites to explore. This area is filled with boat-building villages, and the craft of building Indonesian Phinisi’s by hand on the beach is handed down from father to son. Feast on some of the finest seafood specially prepared for you by your own private chef on deck. Afterwards, explore the highlands of Tana Toraja, admiring some of the most fantastic traditional architecture in Asia. The season to charter in Komodo, the Eastern Flores Archipelago, Banda Islands, and Sulawesi is best from May to October. November to April is the best time to charter in Raja Ampat and Cenderawasih Bay. To swim with the nurse sharks in Cenderawasih Bay, it is best to schedule the charter to swim during the full moon. For a charter in Indonesia, the international flight should be into Denpassar, Bali or Jakarta, Java, depending on the final charter destination inside Indonesia (which would be reached by Indonesian domestic air). As schedules for Indonesian domestic air change constantly, it is best to buffer your arrival and departure between international flights. This is not only to adjust to the time differences, but to allow for time and date changes in domestic flights. Bring basic antibiotic ointment, bandages, and bug spray with you. While any yacht in this area also stocks these supplies, it is best to also bring a small personal supply. For cameras, bring extra digital SanDisks and extra batteries, as these items for a particular camera are very difficult to find, especially out in any charter area. For cell phones, tablets, and laptops, bring extra charging cables, converters (if needed), and plug adapters. Bring plenty of sunscreen, hats, sunglasses, and clothing for sun coverage if needed. Assume that anything you must have for daily comfort, such as prescription medications, over-the-counter medications, lotions, cosmetics, special shampoos, etc., must be brought with you. 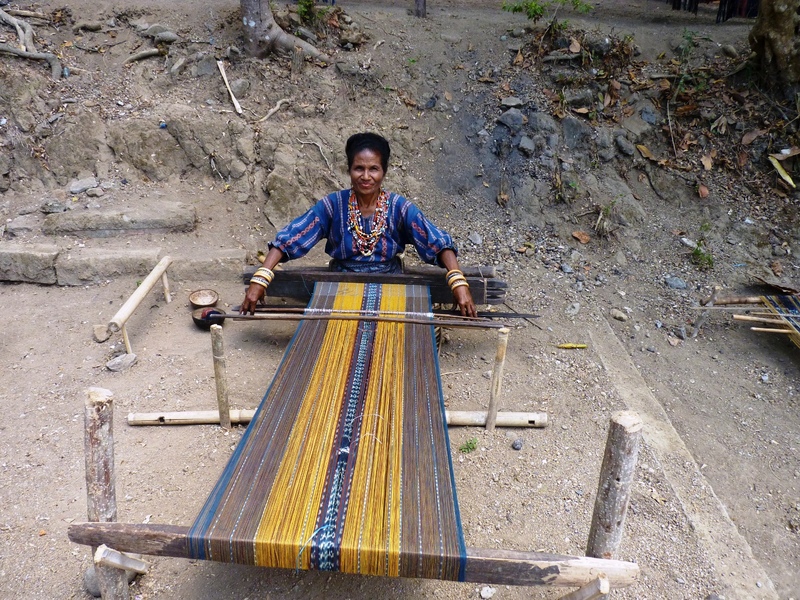 Once out on charter, there is virtually nothing available in any Indonesian village. Be sure to bring plenty of prescription medication for the trip, and perhaps additional antibiotics just in case, as few medications are available in larger cities, and virtually none are available in villages. Bring appropriate clothing to dress conservatively when in villages. Be prepared to always ask before photographing anyone. It’s easy to book your private crewed luxury yacht charter in Indonesia. Northrop-Johnson offers a wide selection of yachts, destinations, and custom itineraries catered to meet your ideal and unique vacation experience. We’ll learn about your desired destination and personal preferences; select the right yacht; secure the booking, and then you’re on your way to your own incredible adventure! Contact us today for an Indonesian getaway you won’t forget.